The Hudson Reed Kubix Single Operation Mono Basin Mixer with Push Button Waste. 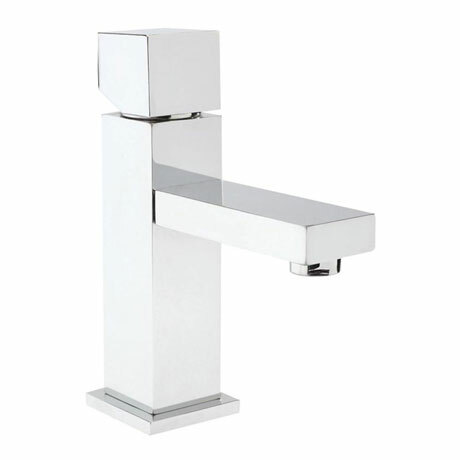 The clean right angles of the Kubix range offer the latest in contemporary style, whilst the highly polished chrome surface reflects the very best in brassware design. Q. Can this product be used with a click clack waste? Hi Melanie, this item includes a Push Button Click Clack Waste. Hope this helps, please let me know if you have any further questions. Very sturdy tap. Heavy and well made. "Looks great, good size and heavy basin mixer tap."